Since 2007 FW Marsh Ltd have been carrying out various projects for retailer Marks and Spencer. New build projects have been carried out at M&S Cheltenham and Swindon Outlet, with a Major Refurbishment at M&S Kidderminster. FW Marsh were responsible for delivering, on time, the full Electrical Installation within these stores, including supervision and coordination of Specialist Contractors, to complete all aspects. In 2012 FW Marsh were involved with the initial prototype M&S Bank mock up at Chester, to help M&S develop their brand. Once approved, FW Marsh successfully completed a roll out of Banks throughout the UK. Following on from the Bank project, in 2014, FW Marsh continued their involvement with M&S to carry out improvements to their sales floor areas, which included roll outs in Beauty Lite, Concept (in store rebranding) and the Commercial Initiatives Roll Out for Menswear, Womenswear and Footwear. Other works within these stores included, newly installed or upgraded Cafés, modernisation to Till Points, Customer Service Desks and installation of In Store Bakery’s. These projects were carried out Nationwide, including M&S Flagship Store at Marble Arch on Oxford Street. In 2015 major improvements were carried out to the M&S Store in Salisbury, including the installation of new Hybrid Fire Alarm System & Fire Curtains. 2015 also saw M&S launch their Lighting Enhancement Programme, with F W Marsh carrying out the initial install into various stores, including Pantheon, Oxford Street. 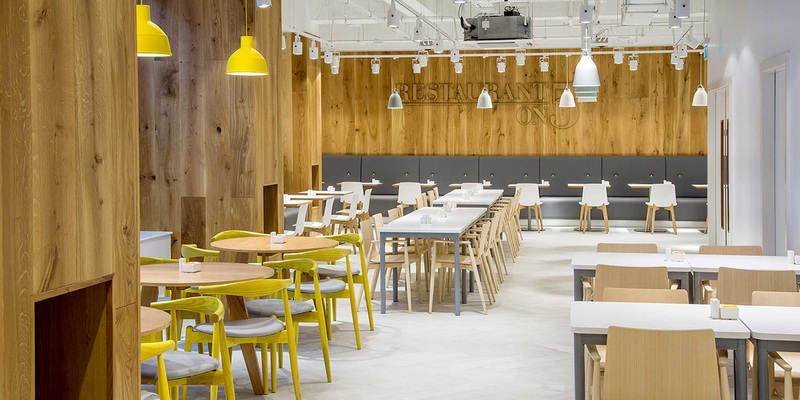 In 2013 FW Marsh Completed the Electrical fit out of the 5th Floor Restaurant, 2nd Floor Café and Lower Ground Floor Bistro within Debenhams Flagship Store on Oxford Street London. Works covered the Design, Install and attendances associated with the complete Electrical installation of each of these areas. Working closely with Debenhams preferred kitchen equipment supplier/fit out contractor, the design of the electrical installation was based on drawings for Electrical Services & Design Current Loadings issued on their Services Schedule. Lighting design was undertaken by Iguzzini with install being carried out by FW Marsh. On completion of works, full testing was carried out with certification issued. Other specialist areas of the works were carried out by nominated contractors, with programme and site management being undertaken by FW Marsh; this included all the design elements and Installation. Works covered included Fire Alarm, CCTV, Music/PA and Data. FW Marsh were successfully nominated as the preferred Electrical Contractors responsible for undertaking the electrical installation works on the new Medical Assessment Unit (MAU) that forms part of the P21+ contract at St Mary’s Hospital on the Isle of Wight. 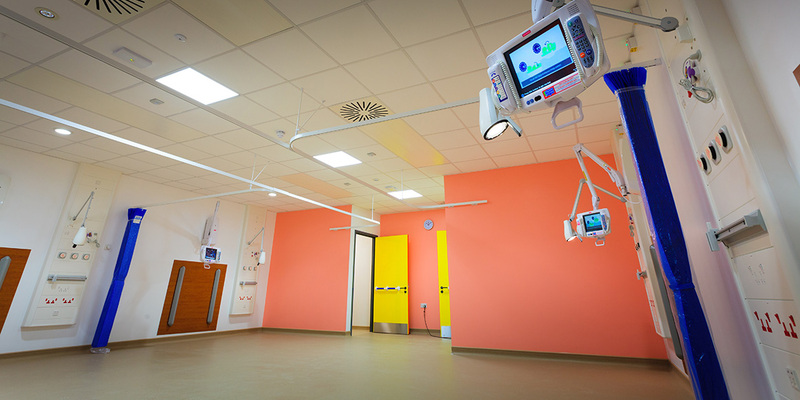 All electrical installation works were successfully carried out to meet the full requirements of the M&E Consultant’s specification, within set time restraints, whilst also giving full consideration to the patients and staff in a fully working hospital environment. P21+ P2 MAU Medical Assessment Unit: The strip out and redevelopment of the existing Medical Assessment Unit to include an extension to the Courtyard and Outpatient Department. Scope included: Lighting, Power, Fire Alarm, Security & Access Control, Bed Head Service Trunking, Hospedia Systems & Mechanical BMS. BMS control wiring MAU & Endoscopy: FW Marsh worked alongside the Trust’s BMS Specialist, to successfully complete the install and commissioning of both MAU and Endoscopy Air Handling Units. The Mechanical Control Panels were designed to allow the Client to monitor and optimise efficiently, the energy consumption.